Well, summer is almost over! Even though the party is coming to an end, let’s make sure your summer goes out with a bang! 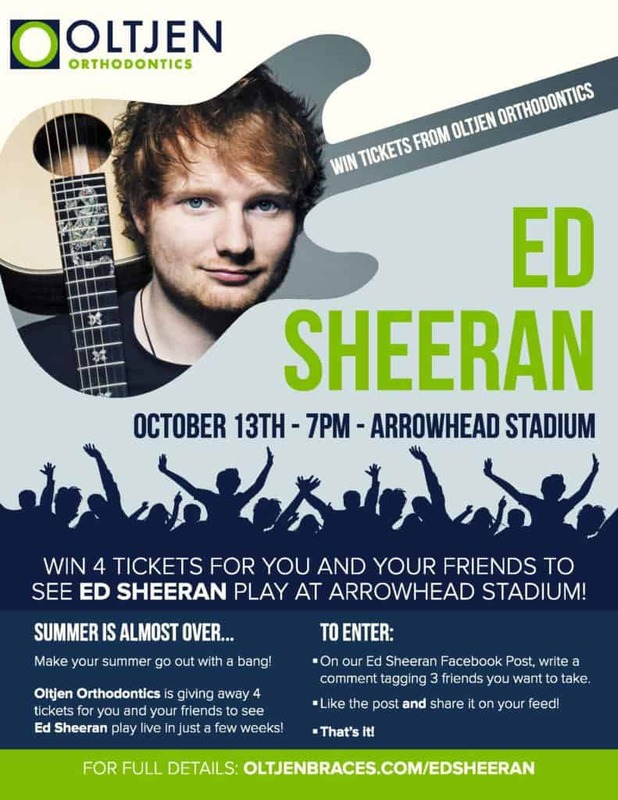 Oltjen Orthodontics is giving away 4 Club Level tickets for you and your friends to see ED SHEERAN play at Arrowhead Stadium on October 13th! On our Ed Sheeran Facebook Post, write a comment tagging 3 friends you want to take. Runs from September 4th – September 30th. Winner must be available to pick up tickets from October 9th to 10th.